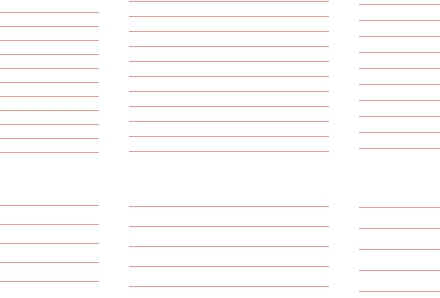 Few days ago I stubbled upon on Extensible baseline grids by Mike Precious via @adactio. I've used the same technique several times for building .PSD Golden Grid Template and for web typography parts of Emastic, Better Readability Project, Azbuka and others project that all use complete or partial Baseline Grid. 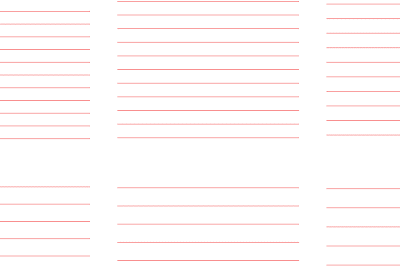 I thought that can be handy to build Photoshop .pat pattern file for my future baseline grid projects. Also I made .png images that can be used with CSS (HTML) for building and testing the baseline grid. I think that this can be useful to someone so I am sharing my Photoshop and .png files. The patterns are from 14px to 26px feel free to extend the project and add more patterns. To install the Photoshop patterns you need to copy the baseline.pat file to the folder Photoshop>Presets>Patterns and then restart Photoshop. For HTML(CSS) patterns open index.html file with any browser.